EuroMillions is the biggest lottery in Europe and tickets can be purchased in nine countries on the content. But residents of Finland shouldn’t feel left out. EuroMillions tickets can be purchased online at theLotter.com. There is no better time to play EuroMillions than now, as tickets for the upcoming €120,000,000 EuroMillions Superdraw, which will take place on Friday, 1st of February 2019, are already on sale. The Superdraw is the most highly anticipated lottery draw of the year, and lottery players all over Europe are eager to guarantee their participation in this special event. EuroMillions stages two draws a week, on Tuesdays and Fridays. To play the game all you need to do is choose five main numbers between 1-50, and two extra numbers, called Lucky Stars, between 1-12. Match the main numbers and the Lucky Stars and you win the EuroMillions jackpot. The jackpot starts out at €17,000,000 and if there are no winners of this prize, it rolls over from draw to draw and can climb as high as the lottery’s jackpot cap of €190,000,000. The Superdraw is a special EuroMillions draw. Announced in advance, at various times during the year, a Superdraw offers a boosted jackpot prize. In the upcoming Superdraw on 1st of February, the jackpot on offer will be €120 million. Playing the Superdraw is exactly the same as playing the regular EuroMillions draws. Here, too, you choose five main numbers and two Lucky Stars. If your numbers are a match, you win the Superdraw jackpot. And just like the regular EuroMillions, there are also exciting prizes awarded for partial matches. How do you play the Superdraw from Finland? 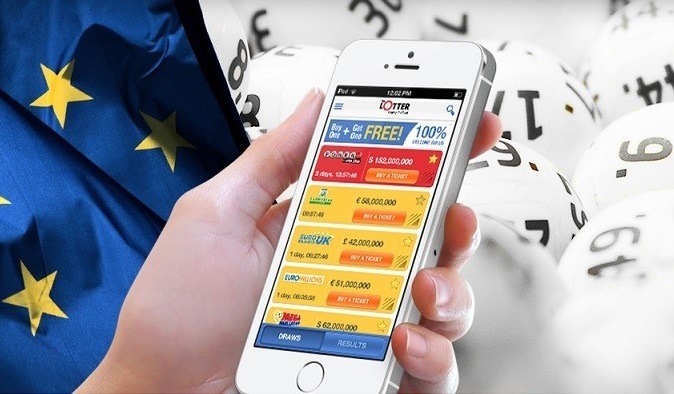 There’s no need to travel anywhere to purchase EuroMillions Superdraw tickets. They can be purchased online, safely and securely, at theLotter, the world’s leading online lottery ticket purchasing service. Even more convenient is the fact that the website is available in Finnish, making it easier than ever to play the game. To play, you register your account at theLotter and then purchase a EuroMillions Superdraw ticket online, listing your favorite numbers or using the randomly selected numbers suggested for you. Representatives of theLotter purchase official EuroMillions tickets on your behalf. Your tickets are scanned and uploaded into your personal account on the site so that you can see them ahead of the Superdraw. If you are lucky enough to win prizes in the Superdraw, you will receive notification via SMS or email with the good news, thanks to theLotter’s automated results checking. And more importantly, you will receive the entire amount of your prize, with no commissions taken. Playing the EuroMillions Superdraw online is open to all residents of Finland. To make sure you participate in this amazing lottery draw, and have a chance to win the €120 million jackpot, purchase your Superdraw tickets today at theLotter.